As you know, freight shipping is the process of transporting cargo, commodities, and various goods by land, air, or sea. Thereby, companies and people who professionally ship freight and manage cargo transportation are called freight shippers. Moreover, since professional freight shippers are also responsible for paperwork, billing, and tracking, they make the entire process of shipping goods much easier and more hassle-free. Now that you know what to expect from professional companies offering freight shipping services, you are ready to choose the best freight shippers in NYC. The good news is that there are many reputable shipping and packing companies able to transport freight of any size and weight to anywhere in the world, and Fine Art Shippers is one of them. While our team is largely known for providing high-quality fine art shipping services in NYC, we actually offer a variety of national and international transportation services to meet all the needs of our clients. Moreover, with a vast network of trustworthy partners worldwide, we offer significantly discounted shipping rates, which makes our freight shipping services affordable for everyone. Thereby, when it comes to the best freight shippers in NYC, you won’t find a better option than Fine Art Shippers! 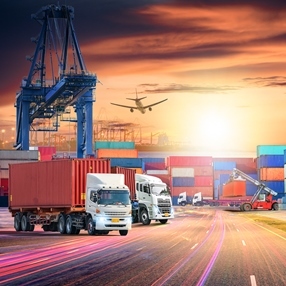 intermodal transportation – a combination of different transportation methods, used to optimize the freight shipping process and to reduce the costs. Overall, at Fine Art Shippers, we can handle any freight shipping job, no matter big or small. So whether it comes to shipping furniture, a concert grand piano, a collection of paintings, outdoor sculptures, electronics, or simply your household goods, our team of experienced freight shippers is always ready to help. We will deliver your possessions to wherever they need to be not only in their perfect condition but also in the most affordable way possible. However, do not take our word for it – request a free shipping quote and see for yourself!